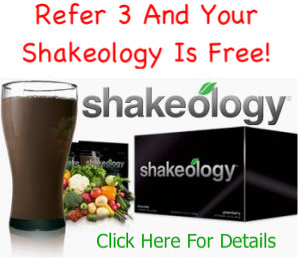 Are you looking for real answers and concrete proof of real Beachbody Coach income? Do you want to know exactly how Beachbody Coaches make money? If so, you’re in luck. 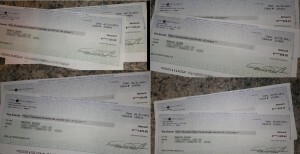 In this post I’m going to show you my actual Beachbody Coach income by showing checks I’ve received. I’m also going to explain how Coaches earn money, and most importantly, I’m going to explain how some Coaches are able to earn the “big” money you hear some of them talking about. First I want to talk about how Beachbody Coaches make money, and it is actually pretty simple when we break it down. Beachbody Coaches earn commissions from all of the products that they sell. Generally, the commission is 25 percent. So if a Coach sells a P90x workout, which retails for $120, the commission will be $30. If a Coach sells 5 P90xes is one week, he/she will earn $150 in commissions (5 x $30 = $150). The retail part of Beachbody’s compensation plan is pretty straight forward, make a sale, and earn a commission. What is great about a Coach’s own retail sales is that there in no quota to meet or anything to qualify for in order to receive commissions. Any Coach, at any rank, can make a sale and earn a commission. Another thing that is great about making retail sales is that the Coach does not need to buy inventory or worry about shipping the product, Beachbody does all of that for the Coach. All that a Coach has to do when making a retail sale is send the customer to the website that Beachbody gives them when they join, and all of the sales made through that website will be tracked to the appropriate Coach. Aside from making retail sales, Beachbody Coach income can also come from team bonuses. Explaining how team bonuses work can get a little complicated, but I’m going to try and break it down as simple as possible. The first thing you’ll want to know is how much a cycle bonus is, and it depends on the rank of the Coach. If you’re reading this post, I’m assuming you are not a Coach yet, or are maybe a brand new Coach, so in my examples I’m going to be using the rank of Emerald, which is lowest rank. In order to be able to qualify for team cycle bonuses, a Coach has to at least be Emerald. A coach needs to sponsor 2 other active Coaches, 1 each leg, to reach the rank of Emerald. Team cycle bonuses is what can cause Beachbody Coach income to grow very large. If you are able to build a large team of Coaches, you will have a lot of team volume created within your organization, which will result in more cycle bonuses. A Beachbody Coach earns a cycle bonus every time there is 300 team volume (tv) points created in their organization. But 200 tv has to be in one leg, and 100 tv has to be the opposite leg. In other words, you have to have volume in both legs in order to earn a cycle bonus. 200 TV in their weak leg, this results is 2 cycles, or $28. In The Example Above, A Coach Would Cycle Twice For ($14 x 2) $28. 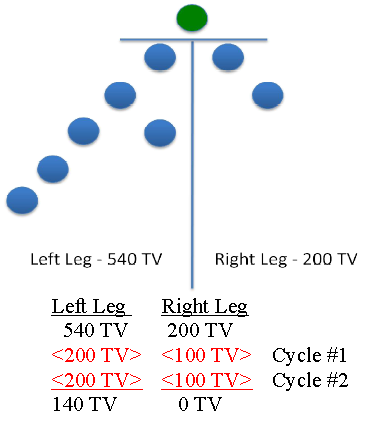 In the example above, the Coach has a total of 740 team volume points in their organization, 540 tv in the left leg, and 200 tv in the the right leg. In this scenario, the Coach would cycle twice, and earn $28 (2 x $14). 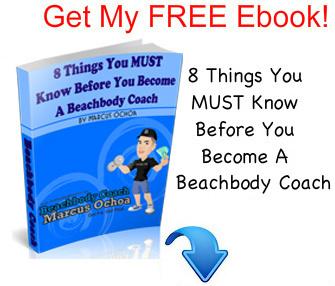 The example above shows a scenario of only 8 Beachbody Coaches in an organization. Imagine if there were hundreds, or even thousands of Coaches in your organization, you would be cycling multiple times a day. We’re at 6 months and only 64 people are in your business, this isn’t looking good…But Wait!! Most likely won’t happen like I’ve shown above. That is a “perfect world” scenario and everyone knows that just doesn’t exist. But even if a Coach was able to do 25% of the numbers I showed above and build a team of 1000 Coaches in just 12 months, that would be a great accomplishment. Beachbody Coaches are able to build their organizations down to infinite levels, but the number of cycle bonuses they can receive per week is limited to their rank. As you can see from the number above, it is possible to earn a 6 figure Beachbody Coach income from cycle bonuses alone just as a Diamond Coach, and these numbers are not counting commissions from retails sales. Another thing to keep in mind is that the maximum limits listed above are per business center. Once a Coach reaches the rank of 2 Star Diamond, they are allowed to open up a new business center and place it anywhere they want in their organization. This can be a great way to maximize the compensation plan. The new business center has its own separate cycle bonus maximums. In total, Coaches are allowed to open up to 25 business centers. So with 25 business centers all maxing out the cycle bonuses at the 10 Star Diamond rank, that would add up to ($624,000 x 25 Business Centers) $15,600,000…Wow!!! Now is someone really going to earn $15,600,000 dollars a year as a Beachbody Coach? I doubt it, but it is nice to know that it is possible and that the earning potential is pretty much unlimited. However, $15 million dollars a year is not that far fetched consider the highest Beachbody Coach income in 2011 was over 1.4 million dollars, which is pretty impressive considering the business opportunity has only been around a little over 5 years. In a business like this, it takes time, years, to grow a large organization and earn the big income. Now I know that some people will look at the chart above and focus on the small side. Remember, this is a real business that takes real effort. There are many people that get signed up thinking, for whatever reason, that it is going to be easy. These people don’t put forth the required effort, and therefore don’t see any results, and eventually give up and quit. Don’t let the numbers on the left have an influence on you. Focus on the numbers on the right side of the chart to see what is possible to achieve with hard work. When you hear about a Beachbody Coach that is making a lot of money each week, it is most likely because that Coach has built a large organization and the majority of income coming in is from cycle bonuses. When first starting out as as a Beachbody Coach, you should expect your income to be very low. In the beginning months, the majority of the money you will make will come from your retails sales. If you want to grow a real business and a large income, it is important to be actively sponsoring new Coaches into the business, and training them to do they same. Over time, as your organizations grows, so will your Beachbody Coach income. It is import to understand the business model and how to use exponential growth to your advantage. What I like most about this business model is that your Beachbody Coach income directly correlates to the effort that you put in. If you work hard and put forth a real effort, you will be compensated for that. On the flip side, if you sign up, and don’t do anything, of course you can’t expect to earn any money.